By using certain web conferencing software, holding a webinar (web-based seminar, or online seminar) to do some online training, live presentation, distance medical service, video conferencing, etc. have become easier than ever. However, as it is live, once the webinar is over, participants can’t watch it again. Now one way to solve this problem is to use webinar recording software to record the whole webinar, so that attendees can view it later or share with others. In this guide, we will introduce such a powerful webinar recording program and also the instruction on how to record a webinar on Mac or Windows PC with it. Part 1. What Is Joyoshare Screen Recorder and Why Choose It? Joyoshare Screen Recorder for Windows (or Joyoshare Screen Recorder for Mac) is an easy-to-use yet efficient webinar recording program to record any online seminar with high quality. With intuitive interface and neat buttons, you can simply record your live webinar in a few steps only. You can choose to record the video or only record the sound according to your needs. After finished recording, you can export it in many formats like MP4, M4V, MKV, MOV, WMV, AVI, MP3, AAC, etc. for playing on various mobile devices such as Apple iPhones, Andriod phones, Xbox and smart TVs, etc. 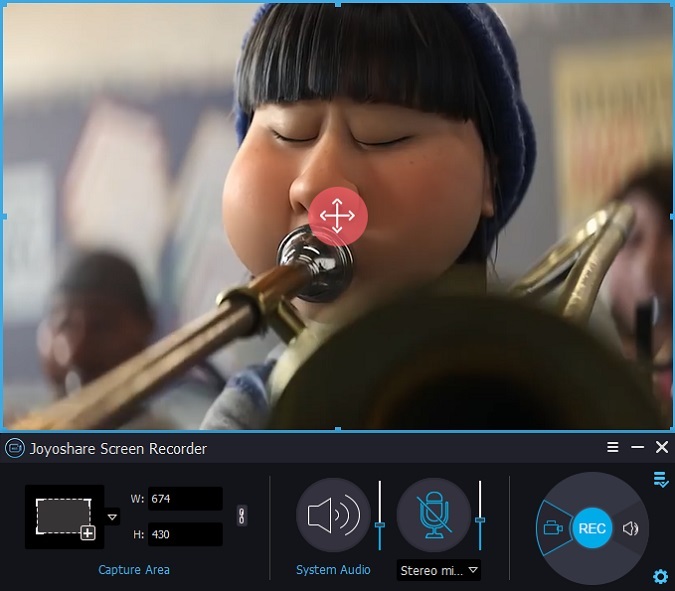 In fact, Joyoshare Screen Recorder is just more than a webinar recording tool, it is competent to record everything on the desktop screen, such as Skype video calls, streaming music, online movies, games, etc. Besides, you're also freely to customize the settings, such as capturing area, output formats, shortcuts, scheduled recording, taking snapshots, etc before start recording. 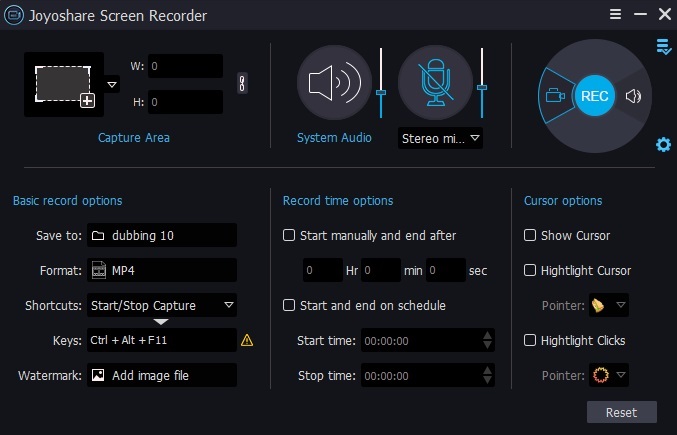 After recording, you can also edit the recordings, for example, trim the video, rename it, etc. 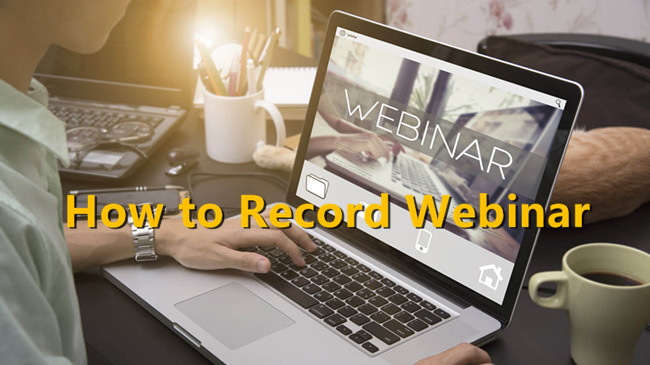 Now it's time to follow the simple guide below to learn how to record a live Webinar by using Joyoshare Screen Recorder. This program is available for macOS system as well as Windows 10. Here we'll take Windows version as an example. Go to the download page of Joyoshare and choose Screen Recorder to download the program. After successfully installed it on your PC or Mac, simply launch on your desktop. Next click the Gear icon on the lower right corner and start to personalize your settings. You can change the output folder path, select output format such as MP4, set your own keyboard shortcuts, and schedule the recording if necessary, etc. After that, press the Gear icon again to hidden these options. Open your webinar screen and start to set a capture area. Just hit the "+" button in the "Capture Area" section to select a recording area. You can zoom in or zoom out to adjust the recording area. Alternatively, you can click the small triangle icon to choose a suitable common ratio such as 320x240, 640x480, 1280x720, full screen, etc. After everything is ready, now click the "REC" button. It will give you 3 second countdown while you can start your webinar right now. During the recording, you can click the "Pause" button to stop the recording temporarily. To finish the recording, just click the "Stop" button. Now you can find and preview your webinar recording at the "History" folder. 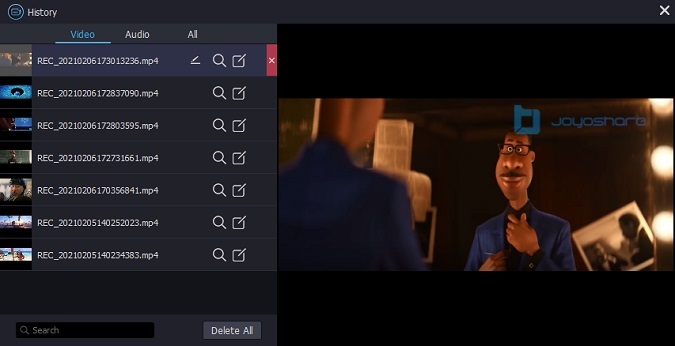 You're allowed to rename the file or edit it, such as split the video, revise ID3 info, etc.